I love vintage. The exhilaration of finding that elusive item that looks great and fits you perfectly for a much lower price than buying new is one of the many virtues of vintage shopping. Personally I prefer purchasing vintage clothing due to style preferences, but also because I like the fact that if I am wearing something second hand then I'll be the only person wearing that particular item. 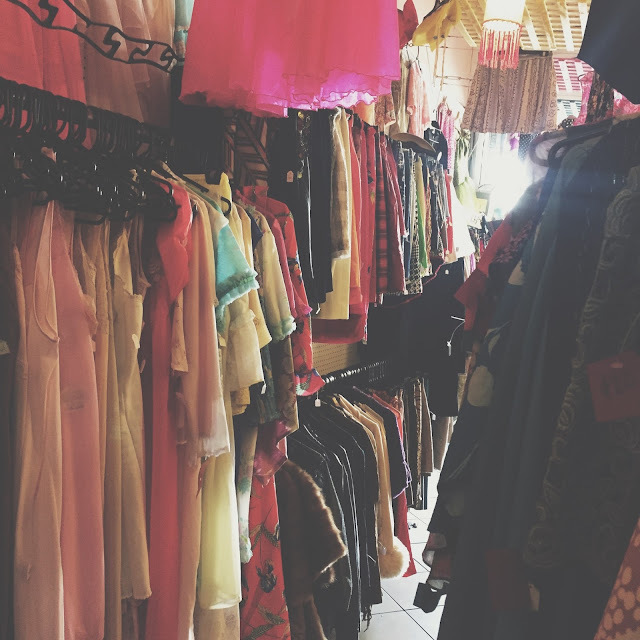 The uniqueness of vintage clothing is most of the fun (as well as the significantly lower prices than new clothing). Although shopping with friends can be an enjoyable social activity, I was happy to read in artist Mina Gilligan's new book 'Time after Time' that she considers it imperative to go vintage shopping alone or with somebody who is equally dedicated to the 'vintage cause' and as such, will not provide distraction. I always feel like such a loner going by myself, but if you seriously want to invest in a vintage wardrobe it's the best way. Going alone means you can look at your own pace and at all the clothing thoroughly, and as a result you won't miss out on any hidden away items. As vintage usually has a no returns policy, I operate on the adage that if I don't love it I don't buy it. For somebody that often struggles with buyers remorse, thinking like this is a good way to avoid feeling like you've just thrown away X amount of dollars. If you aren't sure, you can always give yourself some time (but not too much!) to think about it and come back. Unless the store is busy, or you're just unlucky that day it'll most likely still be there. 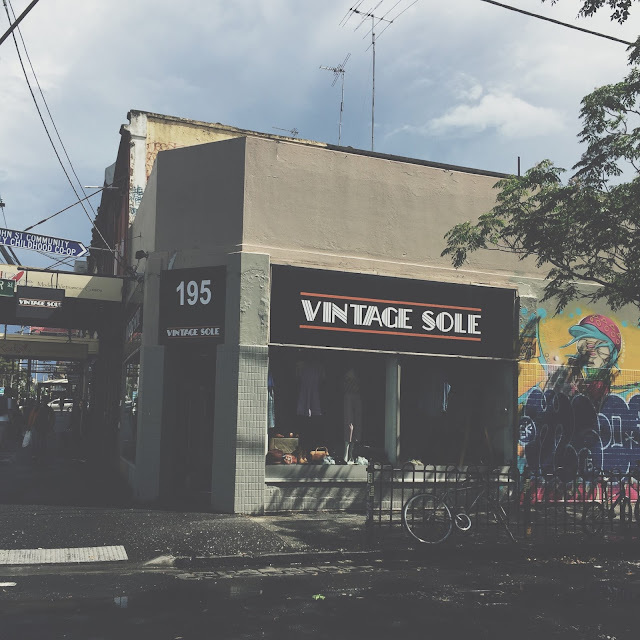 One of the most concentrated areas for vintage shopping in Melbourne is in Fitzroy, and I often go down here if I feel like adding to my wardrobe. I usually only visit one or two stores but on this occasion I went to six for the purposes of this post. That being said I still only found about one item worth purchasing, emphasising how hit and miss vintage shopping can be sometimes. 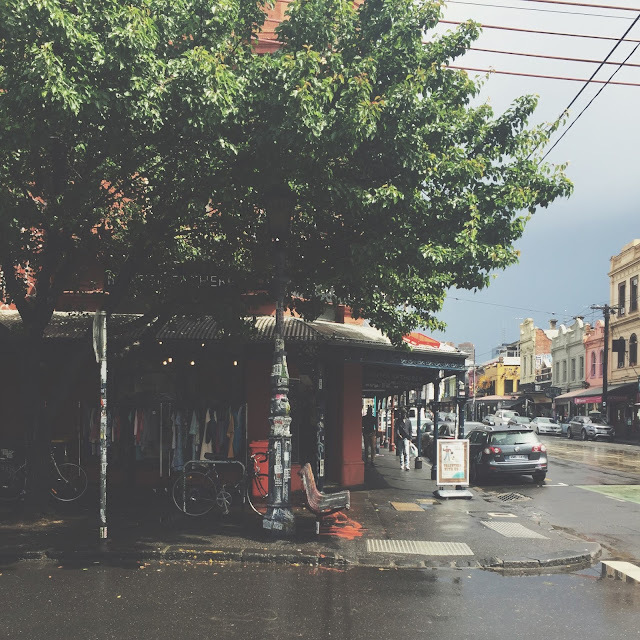 You can catch the 11 (West Preston) Tram all the way down to the Brunswick Street/Alexandra Parade stop or thereabouts and follow this guide easily as each shop listed is in order from around this tram stop towards the city. I found the nicest skirt here the last time I went but unfortunately it didn't fit (one of the pitfalls of vintage). 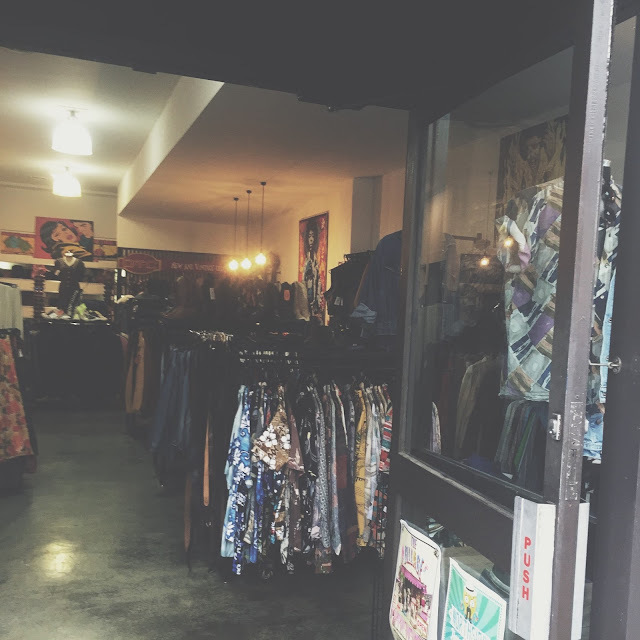 The store has a great offering of colourful vintage clothes as well as a friendly shop assistant. Inside is a plethora of colourful vintage items. Although I've never found anything worthy of purchasing that doesn't mean you won't. Hunter Gather is a compilation of the better items that are found in the Brotherhood of Saint Laurence second hand shops, however I've never really found anything worthy of even trying on. Regardless, the store is worthy of having a quick look in. You'll never know unless you go. I've found some really good items at this store as well as the one in the city. They have really awkward change rooms but besides that it's a gem on Brunswick street. 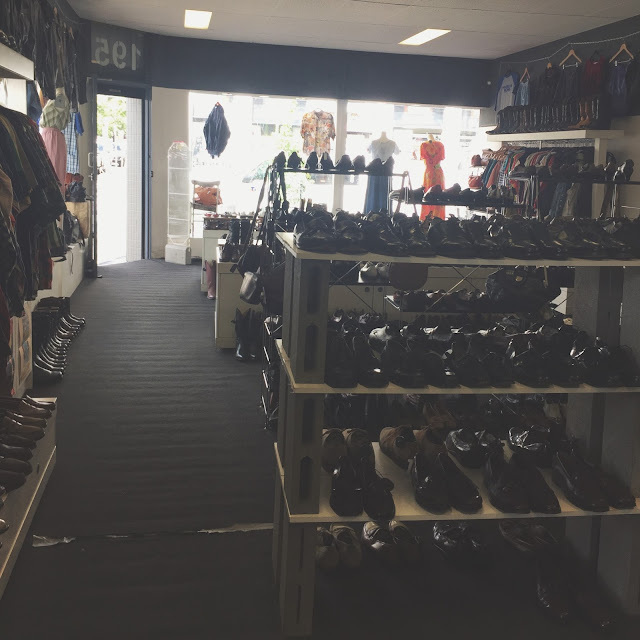 They also have a great selection of vintage shoes. 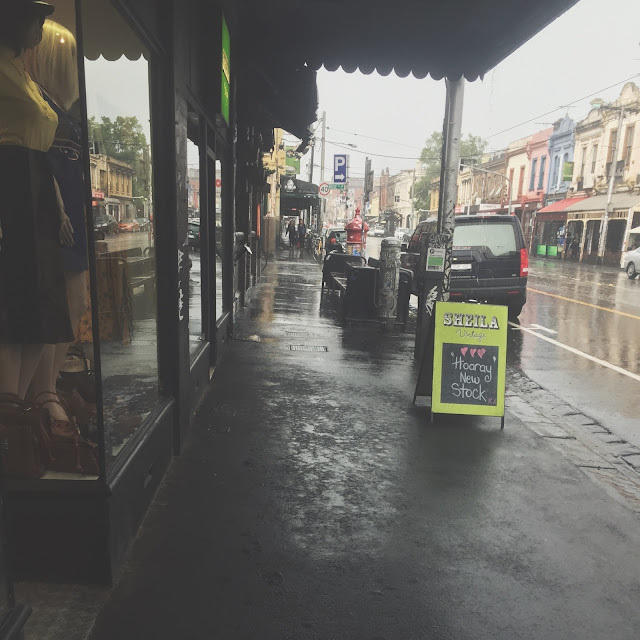 If you are really in the vintage mood, you can walk down to Smith Street and continue your vintage journey. 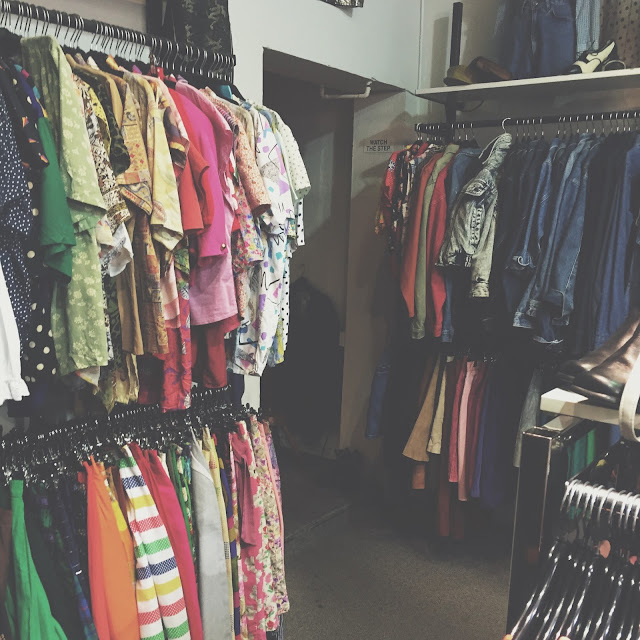 This store has a huge collection of vintage in a somewhat dim and crowded room. I don't really enjoy this store as much as the others but its worthy of including. 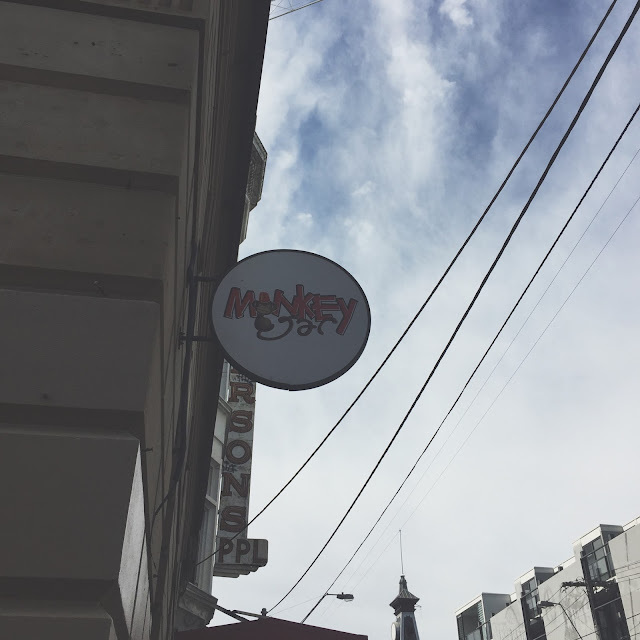 Currently it's favourite store out of all the stores in Fitzroy. Monkey Jar is really well laid out and the amount of clothing isn't overwhelming. I've found some really good quality items at this place, and it's reasonably priced. They have a selection of both men and women clothing as well some eclectic objects for home or life in general. Go here! Absolutely massive store full to the brim with various styles of vintage. It's hard not to find something you like here.